We are a full service company, servicing what we sell. We install a range of pumps such as Grunfos, Franklin, Goulds, and Sta-Rite. We also install booster pumps and centrifugal pumps for municipal and agriculture wells including Grunfos, Baldor, and Paco. We also offer the installation of filtration systems for existing systems or new systems both residential and commercial use. We also sell hand pumps. Water well rigs are used to drill a hole through the soil and rock layers to reach groundwater. Not all water wells are drilled the same way, but rotary drilling is the most common method. Site-specific factors (i.e., formation and location) will be evaluated to determine the appropriate drilling method to be utilized for your well. Getting water to your tap is an important part of the well drilling process. 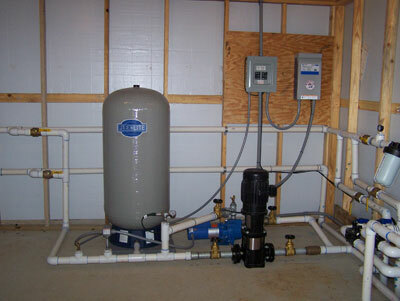 We install a range of pumps such Grunfos, Franklin, Goulds, and Sta-Rite. We also install booster pumps and centrifugal pumps for municipal and agriculture wells including Grunfos, Baldor, and Paco. 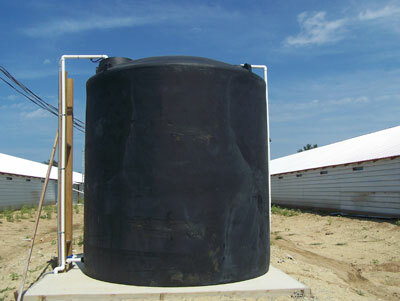 Installation of booster stations for poultry farms is also available.